Meet the Veterinarians & Team of Scott Veterinary Clinic in Brantford! We’re pleased to provide exceptional vet care for your pets! Please call us at 519-752-3431 to speak to one of our caring veterinary staff members! Dr. Lee is the current owner of Scott Veterinary Clinic. 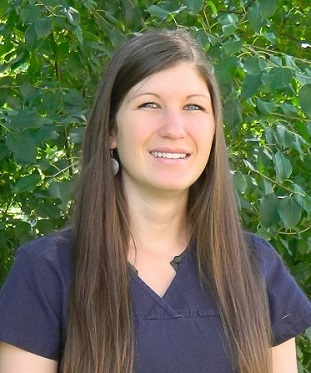 She is excited to have joined the team here at Scott Veterinary Clinic in 2014 and looks forward to meeting all of our wonderful patients and their families. 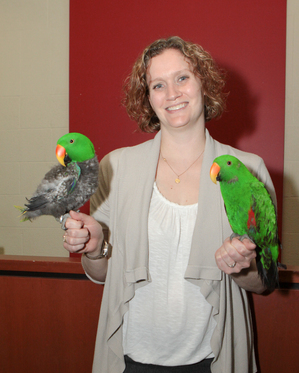 Dr. Lee graduated from the Ontario Veterinary College in 2004 and subsequently decided to pursue additional training in working with exotic animals-her passion. She completed a 1 year internship in avian and exotic medicine and surgery at the Ontario Veterinary College before moving onto general practice. 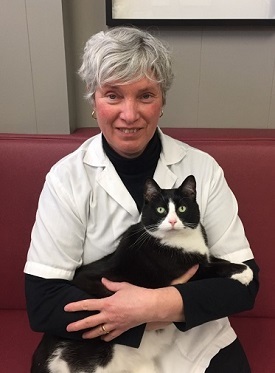 You may have met Dr. Lee at any number of veterinary clinics in the Hamilton/Brantford area as she spent several years working as a relief veterinarian. Although she will miss the clients at those clinics; she looks forward to developing long term, meaningful relationships with our clients here at Scott Veterinary Clinic. While not at work, Dr.Lee and her husband Matt, keep busy running after their 5 year old daughter Brooklyn and their 5 month old twins; Aubrey and Colten. Their fur babies consist of a bouncy boxer cross named Hennessee, a cat named Nigel, and a turtle named Franklin. In their spare time, Dr. Lee and her family enjoy gardening and camping. Dr. Lee looks forward to meeting you and your family! Dr. Mantle has been working at Scott Veterinary Clinic since 1984. She was raised in a small town in Quebec, where she became an avid equestrian competitor, owning and showing horses in various disciplines of the horse industry. As a natural progression of her equestrian passions, she developed an early interest in veterinary medicine. She completed a year of post-secondary education at Concordia University in Montreal prior to transferring to the University of Guelph. She graduated with a BSc in Agriculture from the Ontario Agricultural College in 1977, and then continued on to obtain her Doctor of Veterinary Medicine Degree from the Ontario Veterinary College in 1981. She has been working in private practice since graduation. She shares her home with her husband, two children, multiple cats, several horses and a flock of heritage chickens. Her personal interests include gardening, equestrian pursuits, breeding heritage chickens, and travel. She is a keen orchid grower, and is the past secretary of the Orchid Society of the Royal Botanical Gardens. Dr. Forbes grew up in Burlington, Ontario living next to a large forest. She spent her entire childhood following rabbit prints and saving various critters from the window wells of her parent’s home. She knew she wanted to be a veterinarian her entire life. She obtained her Bachelor of Science from the University of Guelph, and immediately went on to obtain her Doctor of Veterinary Medicine from the Ontario Veterinary College. 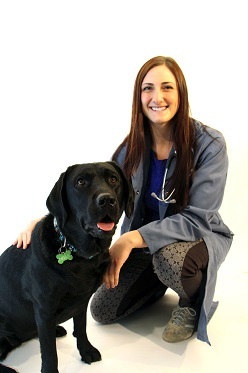 Dr. Forbes has a keen interest in preventative health care, internal medicine, as well as animal behaviour, all in accordance with keeping your best friend as happy and healthy as possible! She considers it a wonderful privilege of the veterinary career to meet and help so many people as well as their beloved pets. Dr. Forbes has always had a special place in her heart for unique species and can’t wait to meet all of your furry, scaly, or feathery friends! Dr. Forbes now lives in Cambridge, Ontario, with her spouse Kyle, their bossy calico cat Malibu, and their wonderful ball python Aztec. In her spare time she enjoys running, hiking, reading, and anything outdoors! Dr. Forbes is overjoyed to be joining Scott Veterinary Clinic and can’t wait to meet you and your family! Crystal started volunteering at a young age as a dog walker for neighbours and as a co-op student at Parkdale Animal Hospital in Waterloo. Along with caring for her own pets growing up, these experiences left no doubt in her mind that she wanted to pursue a career working with animals. Crystal has a thorough background in animal care and veterinary services. She graduated with distinction in both the Animal Care program at Sheridan College (2006) and the Veterinary Technology program at the University of Guelph, Ridgetown Campus (2010). Eager to continue pursuing her passion, she went on to ascertain positions in a shelter, clinical settings, and insurance-related pet care. Crystal assists with lab work, surgery, caring for patients, and reception. She now resides in Guelph with her husband Dave, dogs Tanner and Steve and 2 cats Handsome and Baby. 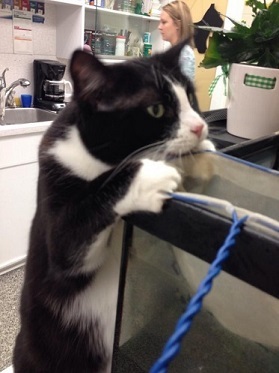 Crystal enjoys spending time with her furry children, family, and friends. She also loves camping and reading. Sue has been working at Scott Veterinary Clinic since 1994. She has always been crazy about animals and has been involved in a variety of animal related activities throughout her career ranging from working with race horses to grooming dogs. While at work, Sue can be found helping out just about anywhere, although her main duties include monitoring anesthesia of our patients during surgery, running the laboratory, and taking x-rays. Her main areas of interest include anesthesia, pain management, and dentistry. Sue is originally from Hamilton and lived for many years on a hobby farm not far from Lake Erie. She owned and showed horses for more than 25 years in English and Western disciplines as well as pleasure riding. After selling her farm and downsizing to a home in Dunnville, Sue and her husband have developed a passion for gardening, fishing, and travelling. They share their home with their new kitten, Lily. Kelly has been working in the practice since 1999. Her formal education background is in Equine studies and Farm management. She has diplomas from both Humber and Mohawk Colleges. After working and managing horse farms in Brant County for 10 years (including the farm of Dr. Scott, who built Scott Veterinary Clinic originally), she decided it was time for a change and began working with small animals. 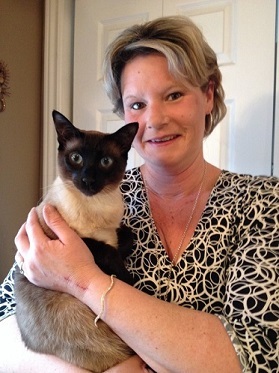 Kelly is our Office manager and enjoys helping all of our clients and their pets. Kelly helps in all areas of the clinic but spends most of her day up front or in the office. Kelly has 3 children, 3 kitties, Meadow and Alejandro and Julian, 1 Labrador named Piper and 6 chickens, Claire, Delores, Shelly, Monica, Irene and Delilah. In her spare time, Kelly enjoys outdoor adventures such as fishing, canoeing, boating, skiing, snowmobiling, and dirt biking. 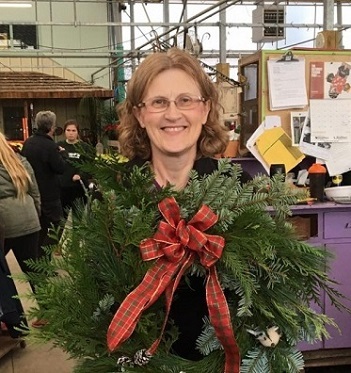 Kelly is a member of the Drumbo Agricultural Society because she is also very handy in the kitchen,she likes to bake and make preserves, as well as country crafts. Holly started her career working on a horse farm in 2013. She has always loved animals and decided to pursue a career in the veterinary field. She graduated with distinction from the Veterinary Office Administration program at the University of Guelph's Ridgetown campus in 2017. From there, she wrote the Approved Veterinary Assistant (AVA) exam from the National Association of Veterinary Technicians of America (NAVTA). 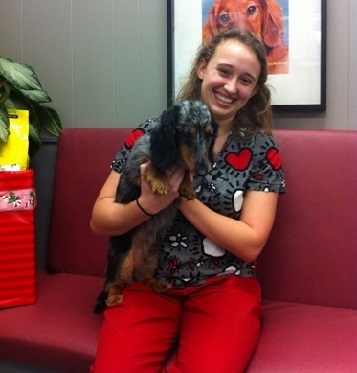 She completed her 4 week externship with us here at SVC, and we loved her so much that we decided to hire her! 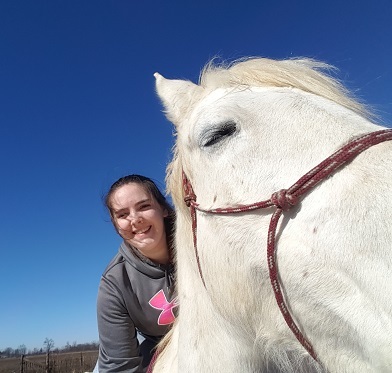 She is currently working towards completing her Diploma in Equine Science Studies from the University of Guelph's Equine Guelph program. In her spare time, Holly enjoys walking her dogs Willow and Pepper and playing with her rabbits Luna, Olive, and Benny, and her hamster, Beans. She also loves competing in the Western classes at local fairs and shows with her horse Frosty. Alyssa started working with us as a co-op student and has been with us since 2009 when not in school. Alyssa is currently completing a degree in occupational/physiotherapy assistant and is excited to be on the cusp of embarking on a rewarding and successful career. Alyssa is very passionate about animals and has quite the collection of her own including; 3 dogs, 2 cats, a parrot, bearded dragon, 2 rats, 3 chickens, 10 ducks, 2 horses, 1 miniature horse, and a donkey…wow! In her spare time, Alyssa enjoys riding horses and spending time on the farm. Spookie came to live with us about 10 years ago. Her previous owners named her Spookie because of her “Halloween” coloured fur. She is usually supervising the doctors in their office and on occasion visits the reception area. 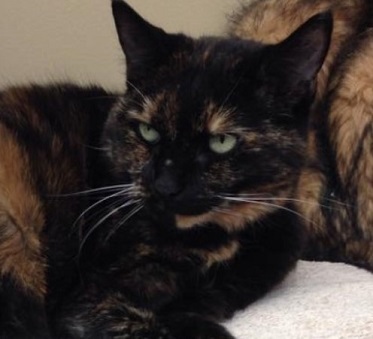 When Zeta first arrived at Scott Veterinary Clinic she was somewhat feral and no one could get near her. Now she’s very friendly and frequently found lounging on the counter or chairs in the reception area. Don’t let her fool you-she’s very busy as Assistant Practice Manager. She keeps tabs on everyone in every department. She even makes sure the aquarium is cleaned properly. Keep up the good work, Zeta!